Being a manager in the Premier League is not an easy job by any means, and to verify the same, one need only ask the five managers who've been sacked so far this season. It is becoming a kind of trend in the English top flight for clubs to fire their managers in an impulsive decision, and what usually follows is the appointment of a caretaker manager. As the name suggests, a caretaker manager is supposed to guide the players at his disposal to a better position on the league table than his predecessor, just until the club hierarchy finds the right man for the job. But, some of these so-called 'caretaker' managers oversee a complete overhaul during their temporary charge at the club, impressing fans and pundits alike. 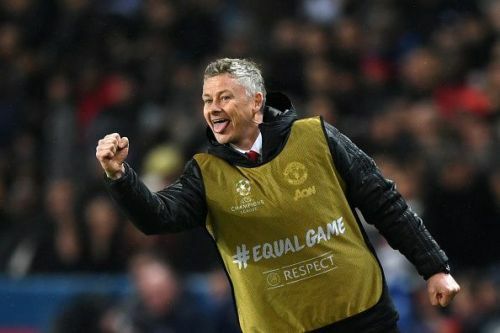 Current Manchester United coach Ole Gunnar Solskjaer is on a roll in his temporary tenure at his former club, and is proving why he can be the right man for the job. But, until he is given a permanent place in the Old Trafford dugout, he might as well go on to become one of the most successful caretaker manager of all time, having gone unbeaten in his first 11 games as the coach of a club with whom he won a lot of trophies as a player. So, with that being said, lets have a look at some of the best temporary managers to grace the beautiful game in the Premier League. Tim Sherwood managed Tottenham for over 6 months in 2013/14 season. Tottenham Hotspur have never had a managerial problem since Mauricio Pochettino took over in 2014, but before him, Spurs had appointed former England striker Tim Sherwood as the caretaker manager at the White Hart Lane, following the sacking of Andre-Villas Boas in December 2013. The Portuguese manager was shown the door following a series of big losses to Manchester City and Liverpool. Sherwood only lost 6 of the remaining 22 games of the season and led his former club to a respectable sixth position finish at the end of the season, earning automatic qualification to the Europa League. He was dismissed from the job after the season ended, paving the way for former Southampton coach Pochettino to join the club, and the rest is history.